"To love what we do and share what we love,as we help others enjoy creativity and worthwhile accomplishments... in this we make a difference!" What a busy fortnight it's been with so many holidays, lots of time for family and friends. I went to the Dawn Parade in Papakura on Anzac morning with our eldest son and his family, and afterwards we hosted a breakfast for friends and family. It's great to see so many young folk attending Anzac Parades acknowledging the sacrifices made so we can all enjoy our freedom today. Thanks Janet for including my thank you cards in the pics of the week this week. Wedding cards are so much fun!! 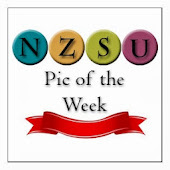 If your picture is selected please use this award to display on your image. Clearance Rack has been updated!! Sweet Sunday Sketch #300 - Farewell!!! Sunny Days - The Crafty Carrot Co.
A Set of Eastern Palace Note Cards. Content on this weblog contains Stampin' Up! images, Stampin' Up! however does not endorse this weblog. All content is the responsibility of the blog editors. 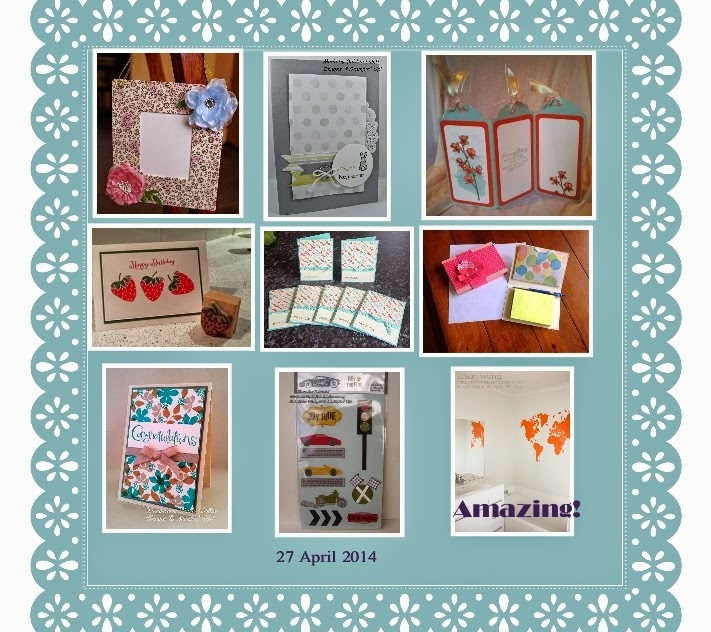 Cards, layouts and 3D projects are designed and photographed by Independent Stampin' Up! demonstrators & lovers of SU! You are welcome to use these pictures for personal inspiration only. The purpose of this blog is to support the SU community and any negativity or promoting of any other direct sales products will result in the linked blog being removed entirely from the news feed. Stampin' Up! started in America in 1988 and came to New Zealand in April 2007. If you love Stampin' Up! products and have a blog or website then this is the blog for you!